I never imagined I would survive a 9-hour land trip from Manila to Banaue via Autobus. We left Manila at 10pm and arrived on sunrise. The bright sun welcomed us accompanied by the cool breeze from the mountains. The whole trip to our destination was an experience in itself. It was worth it! 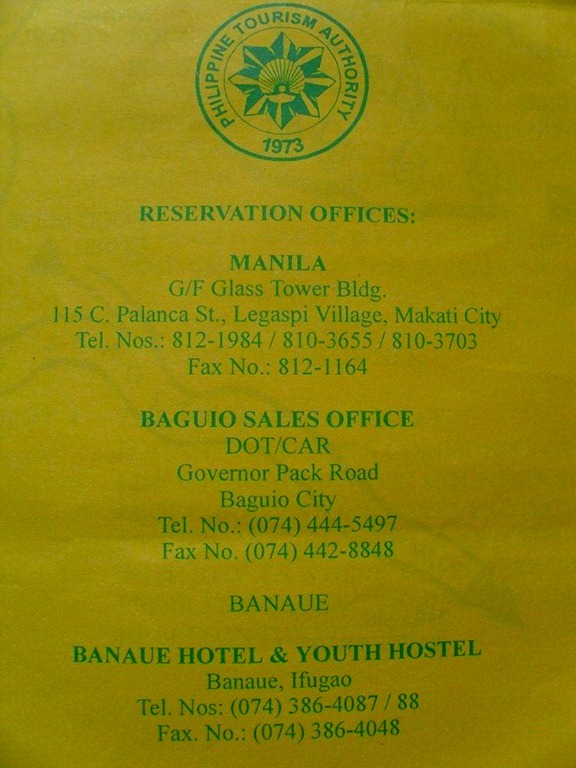 Banaue Hotel and Youth Hostel located at Banaue, Ifugao, gave us the best deal for our accommodation. They have a full restaurant that serves Longganisa-Ifugao Style. A must try! And the rooftop coffee shop has a perfect spot to view the breathtaking scenery, by the way. This hotel is accredited by the Department of Tourism. The smell of pine from the pinewood materials gave the establishment a log cabin feel. And since we were a group, and we were there during the weekend, live cultural entertainment was provided during dinner. That same day, we decided to explore the surrounding areas. 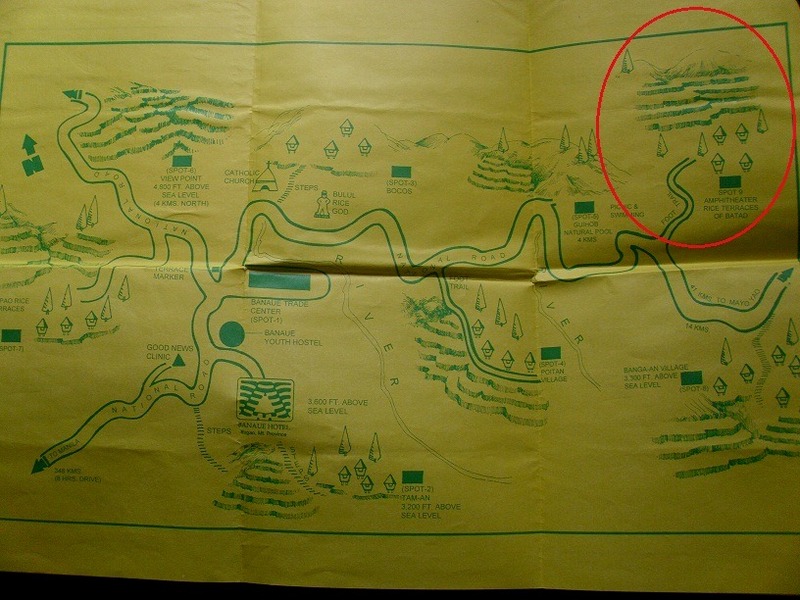 It’s so amazing how our ancestors carved Terraces into the mountains of Ifugao 2000 years ago. These terraces, also called the Hagdan-hagdang Palayan ng Banawe, are commonly referred to by Filipinos as the “8th Wonder of the World” – a phrase fondly used by Pinoys in association to the international list of the “7 Wonders of the World”. 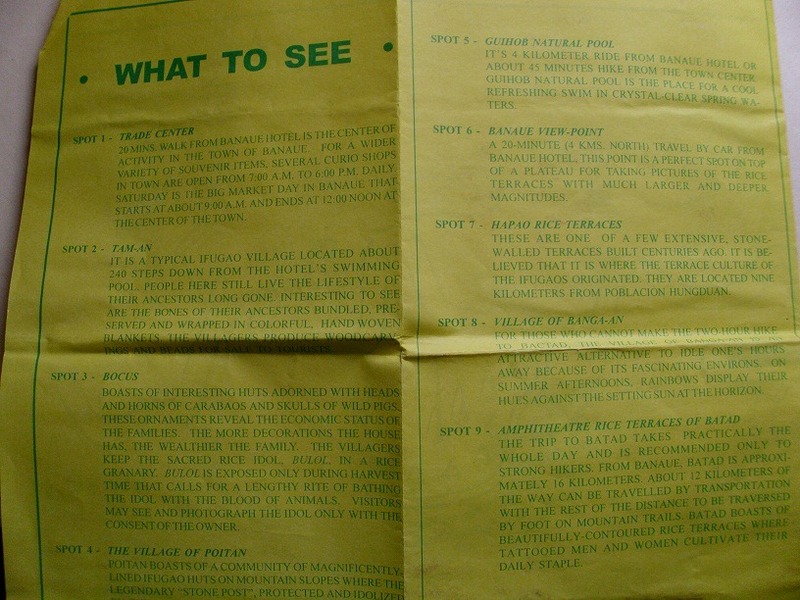 There is so much to see in Banaue. But to fully immerse yourself in it’s marvelous beauty, head to Batad located in Barangay Batad. But be warned… this is only recommended to strong hikers! 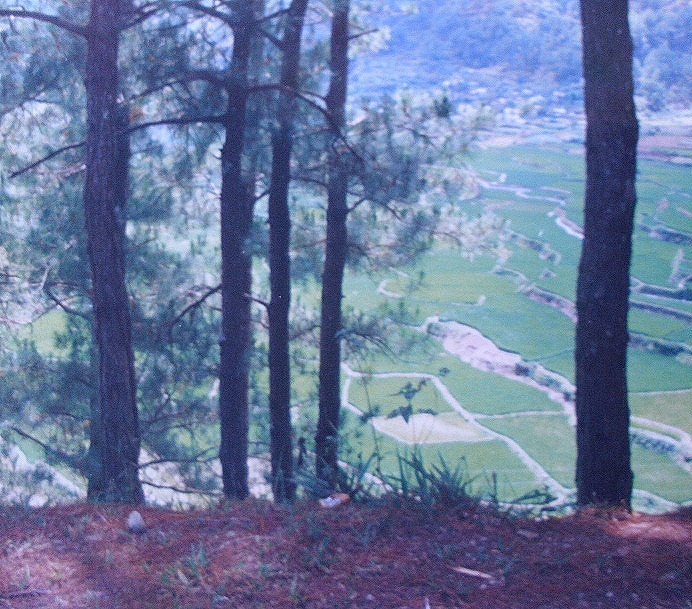 Apart from the rough 12-kilometer jeepney ride from Banaue, an additional rigorous 2-hour hike follows. Batad boasts of beautifully contoured Amphitheatre-like rice terraces. The scenery is simply stunning! 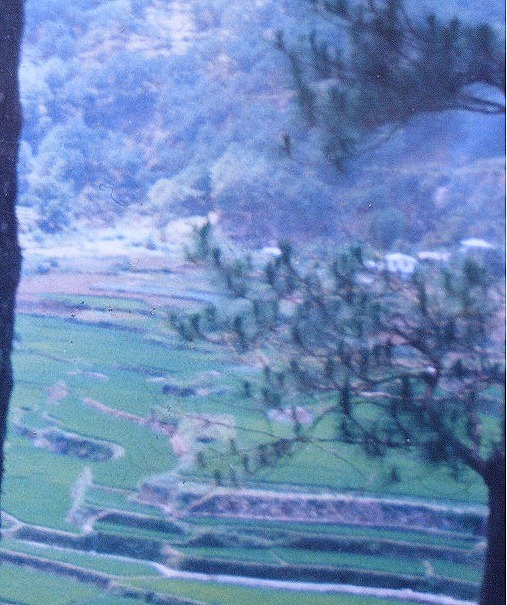 Other notable rice terraces in Ifugao are: Mayoyao rice terraces, Kiangan rice terraces and Hapao rice terraces. Before leaving Banaue, buy some hand-woven crafts as souvenirs made by Ifugao communities to help local tourism. Beautiful Banaue! Definitely worth another trip back to it! Banaue gets more chilly from December to February. Wear comfortable clothes (shorts, jeans or jogging pants), a jacket and rubber/trekking shoes. **Bring bottled water. The walking will make you thirsty. (+63-2-4934111) – Departs Manila once daily at 10pm.